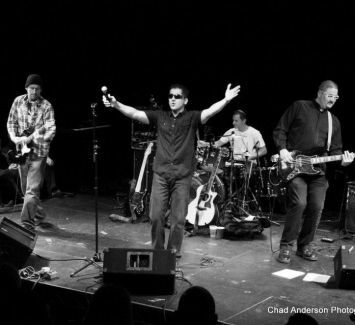 U2Nation is a four-piece U2 tribute band known for live performances that capture the look, sound, and feel of a U2 concert experience. Their sound is centered on the bands authenticity and dramatic live presentations complete with props and costume changes. By utilizing a combination of modern and vintage production equipment they hit that U2 hallmark sound. Expect a typical U2Nation show to cover the material from all eras, inclusive of a catalog of radio hits, anthems, and various deeper cuts.